View of the dry landscape garden in the courtyard. 3) JEANNEL.B(1995):Jardins japonais en France，NATHAN, pp106-109. This Japanese-style garden is located on an island on the river Erdre, which flows near downtown Nantes. In the 1830s the formerly marshy land was filled in with earth to create an island. The city of Nantes purchased the island and began the construction plan in the mid-20th century. 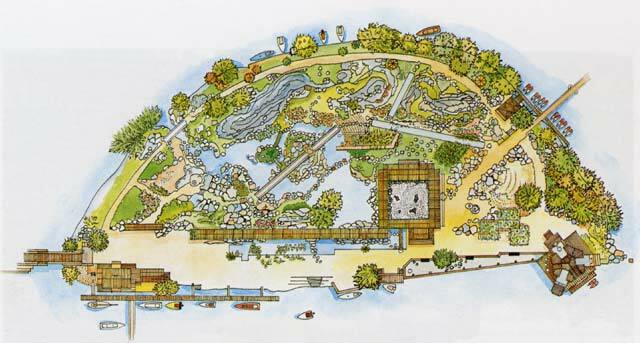 The city held a design competition, which was won by architects Dulieu, Breton, Cormier, Dudon and landscape architect Soulard with their plan for a Japanese-style garden. 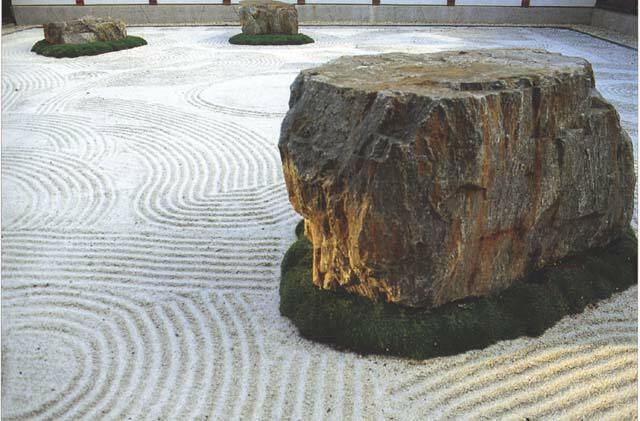 Their intention was to create a modern space that was influenced by the traditional Japanese garden; some say that they deemphasized philosophical and religious signifiers in favor of beauty. The work was started in 1986 and finished in 1987, with the garden taking up almost the entire crescent-shaped site. The island was christened “l’Île de Versailles.” A wooden building called “Maison de l’Erdre”, which references a tearoom, is open to the public; inside, a collection of river plants and animals is on display, as well as information on the history of the area. In addition, a dry garden was built in the building’s square courtyard. 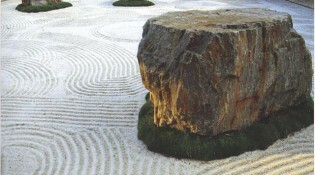 This garden consists of stones, white sand and moss, with waving ripples drawn in the sand. A pond and a mountain were also constructed, with a walking path sweeping around them. The pond, which has a pebble beach and stones placed on the shore, is in the middle of the island; the periphery is arranged as a stroll garden. A waterfall was also created using arranged stones. 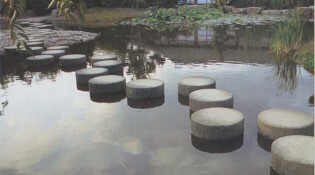 There are columns and naturally shaped stones that function as stepping stones to cross the water; a stone bridge, a wooden bridge, and an earthen bridge were also built over the water. 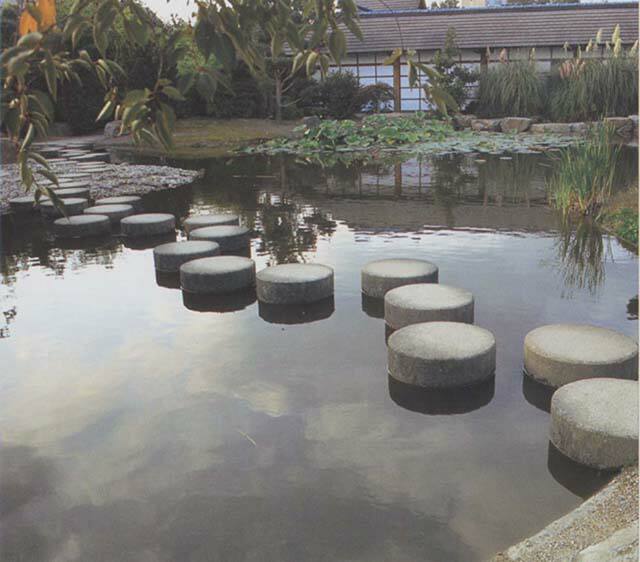 The pond was planted with lotuses; cherry trees, rhododendrons and camellias were planted in the garden. There is also a bamboo forest with a path threading through it. All these features make this small garden attractive.